The findings suggest a threshold effect at work—a sharp perceptual boundary where orange turns to red. 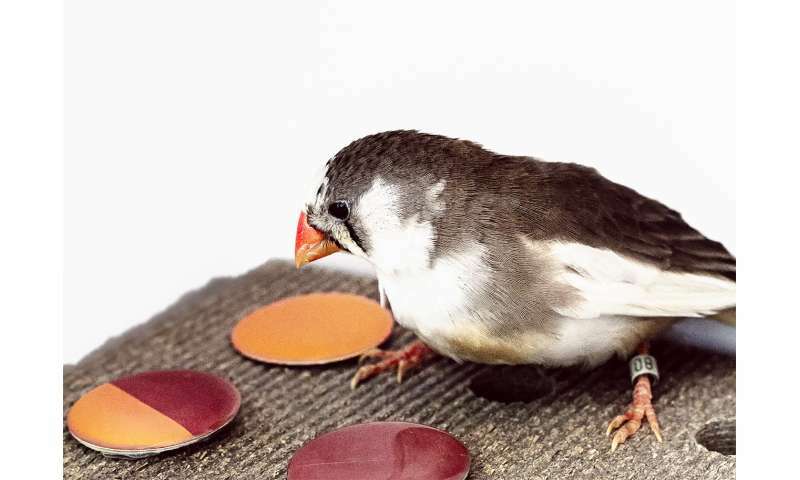 "Categorical perception—what we show in zebra finches—is perhaps one strategy the brain has for reducing this ambiguity," Caves said. "Categories make it less crucial that you precisely interpret a stimulus; rather, you just need to interpret the category that it's in."